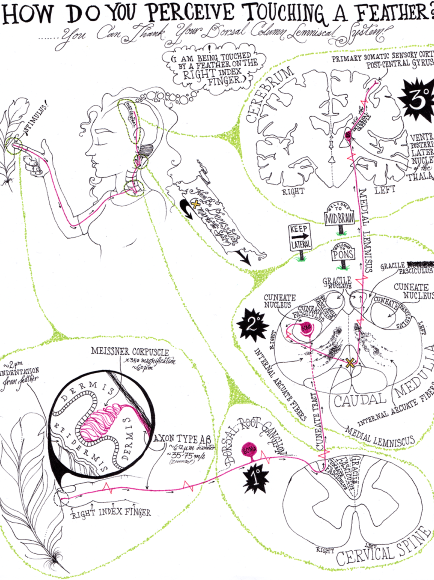 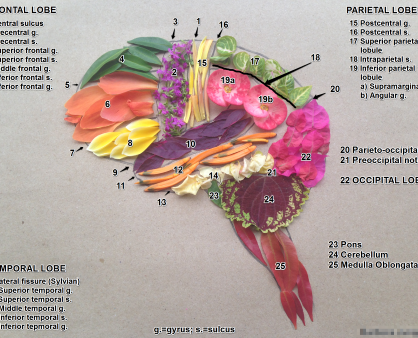 As we all know, visualizing neuroscience knowledge is an important element in the study of Medical Neuroscience. 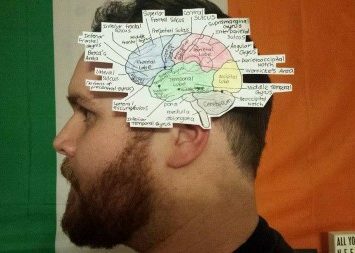 On the page Study Strategy, tip 4 says: …. 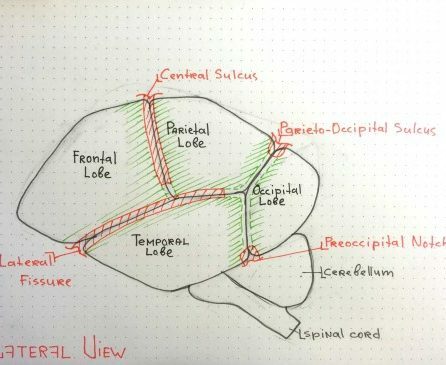 Making rough sketches of what is shown is very useful, as demonstrated in “Visualize your knowledge” ( Tutorial Video Your Part! 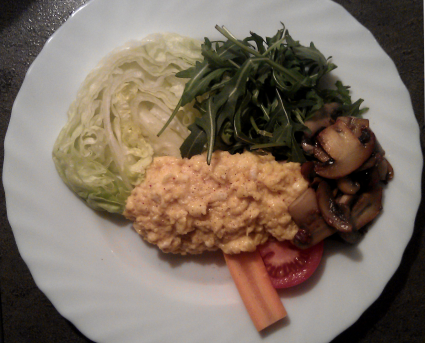 at 07:15)……. 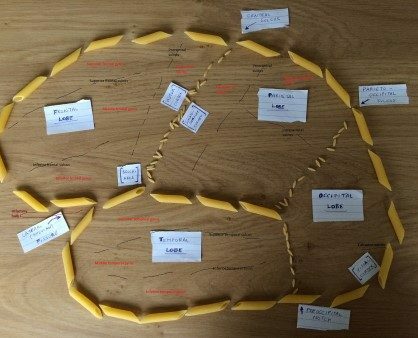 Because it is so important there were peer assessment to reinforce this part of the study strategy in the sessions of the course on the session-based platform (2013 – 2016). 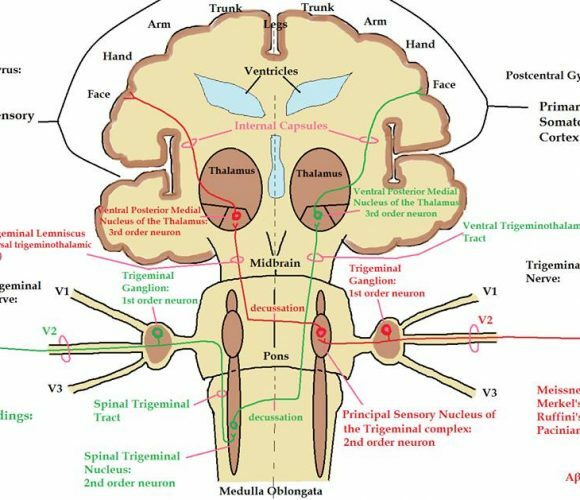 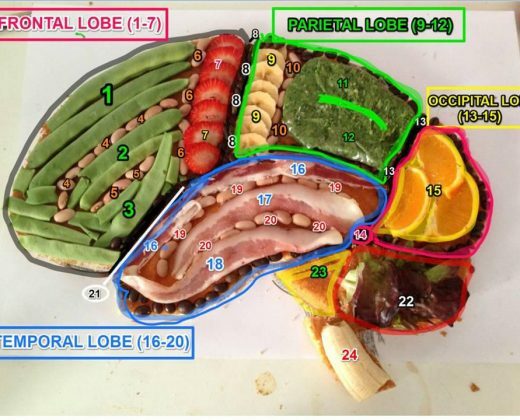 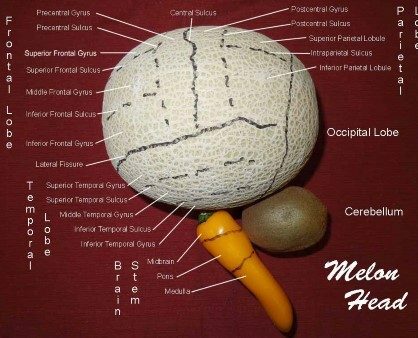 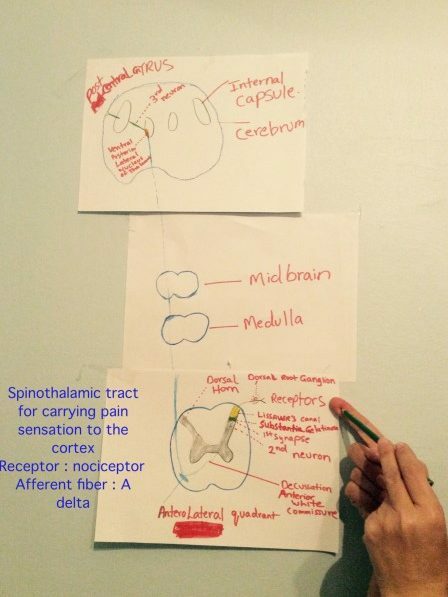 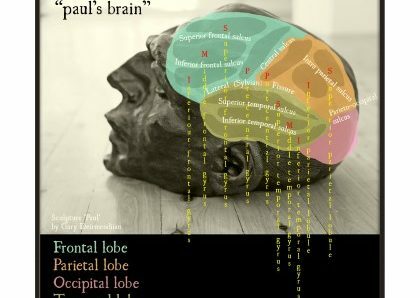 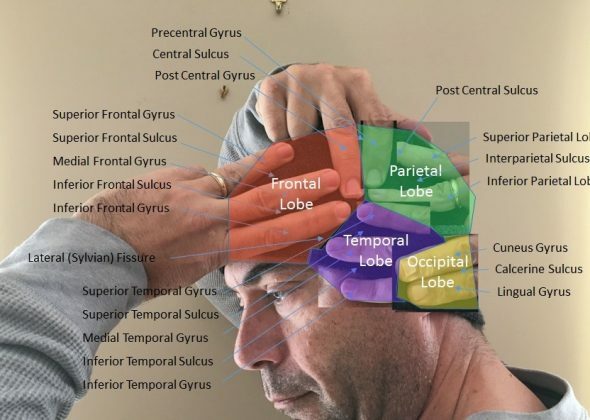 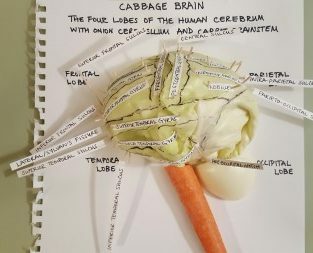 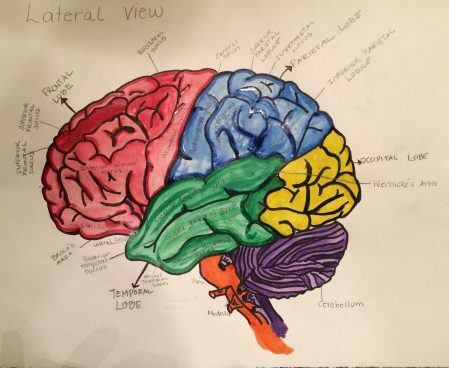 In the first assessment the assignment was: For this assignment, your challenge is to make visible your basic understanding of the four lobes of the cerebral hemispheres as seen from either the lateral surface OR the medial surface of the human brain. 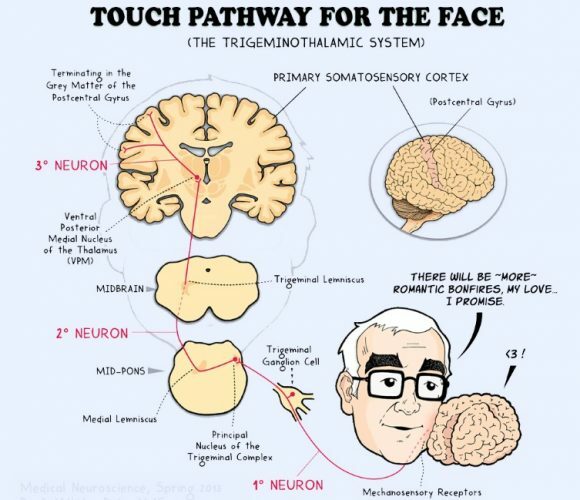 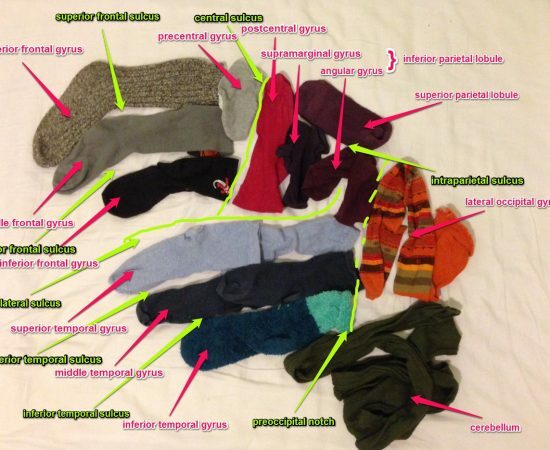 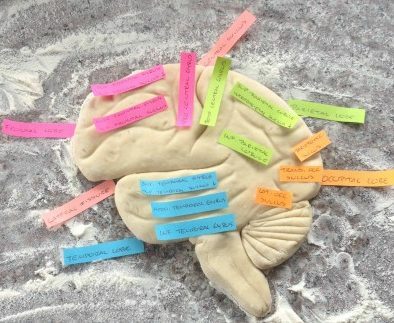 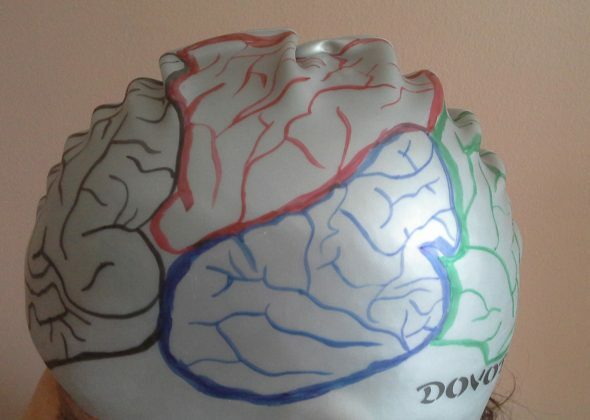 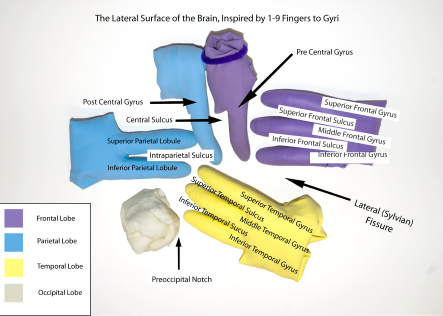 Demonstrate the four lobes of the cerebral cortex and describe the boundaries of each. 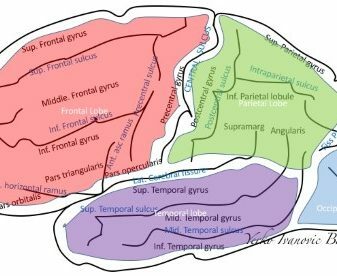 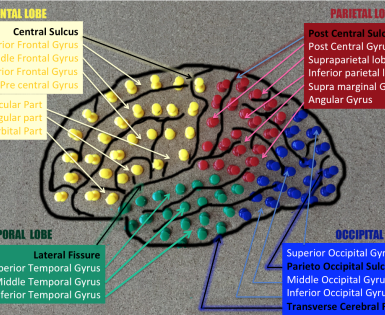 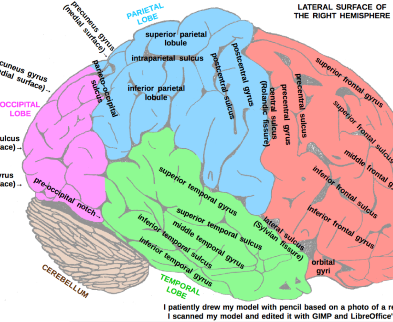 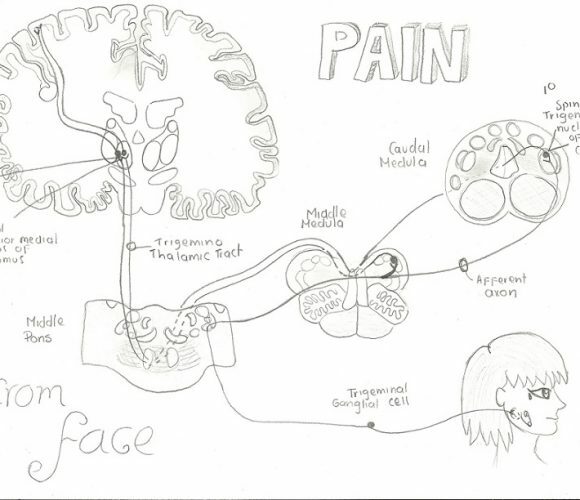 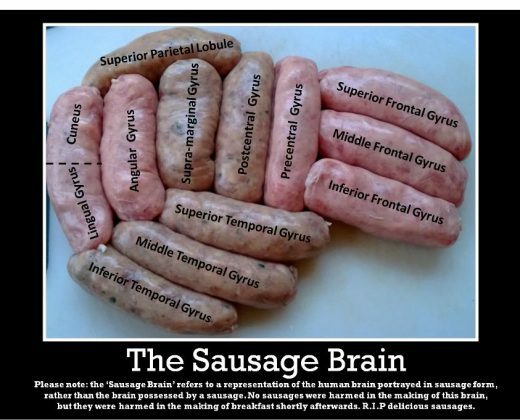 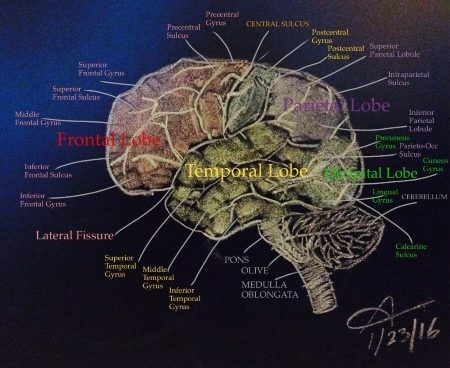 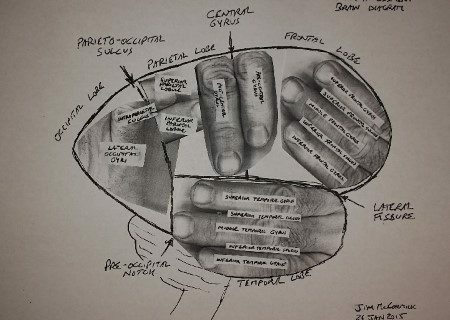 Sketch the major features of each cerebral lobe, identifying major gyri and sulci that characterize each lobe. 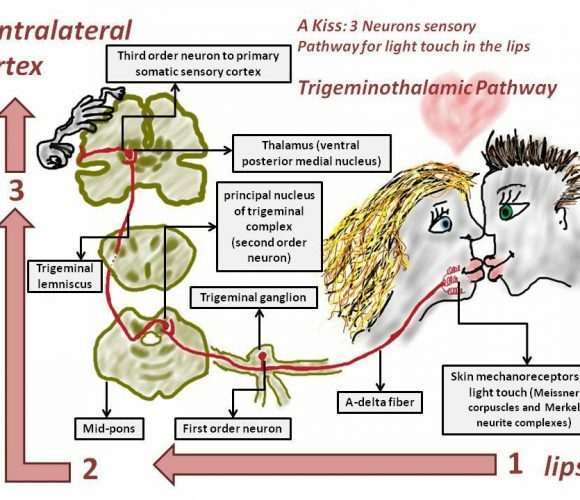 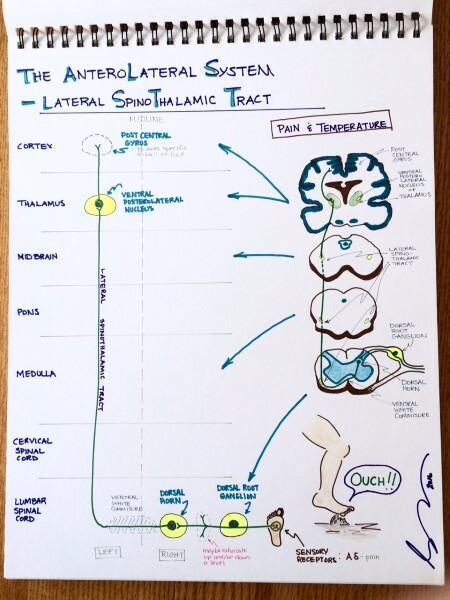 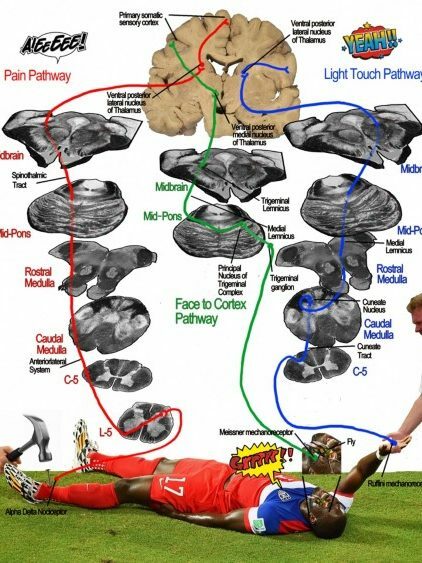 For second assignment, the challenge was to make visible your understanding of the neural pathways that mediate the sensations of light touch and sharp pain from skin to cortex. 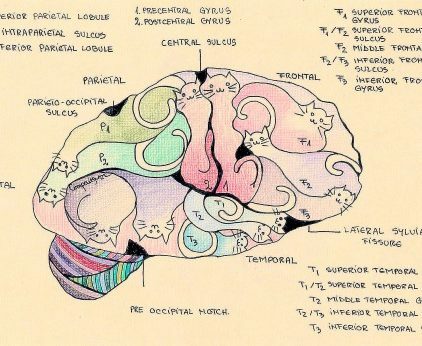 And of course the images made for extra credit gave us that wonderful picture that symbolizes this course: Brain Caress. 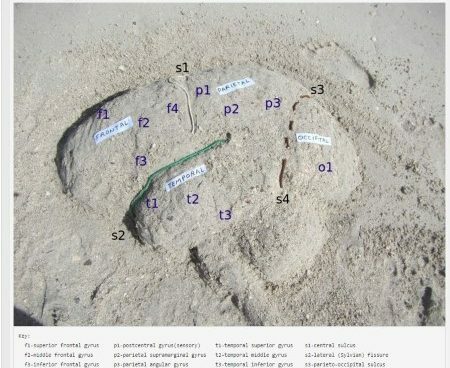 Have a look at those images as well. 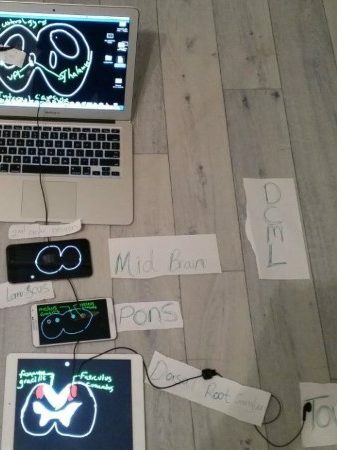 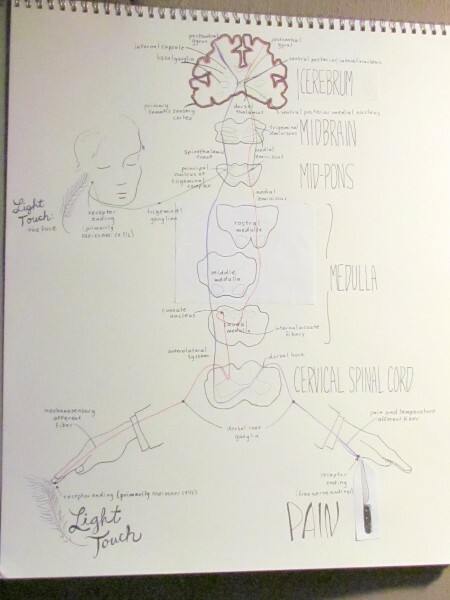 As you can see, this course is inspiring and the members of our learning community are a creative group of people with care and love for the brain and the nervous system. 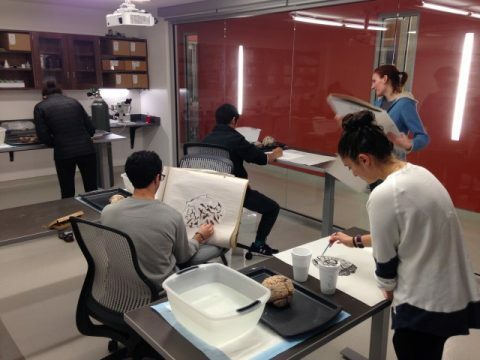 The Duke students “Brain and Behavior” also get a chance to work on visualization of their knowledge. 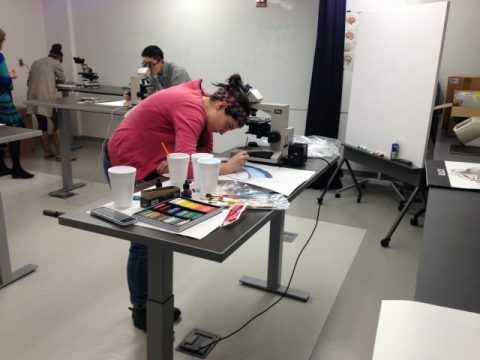 They go to the teaching lab for a session of drawing brains in various media (charcoal and paper; ink and paper; pastel and paper. 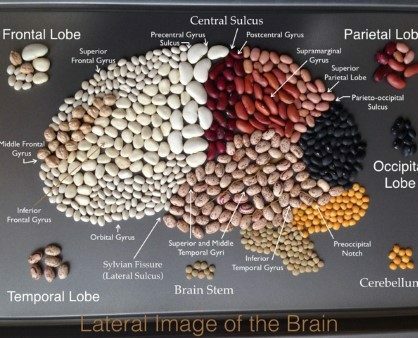 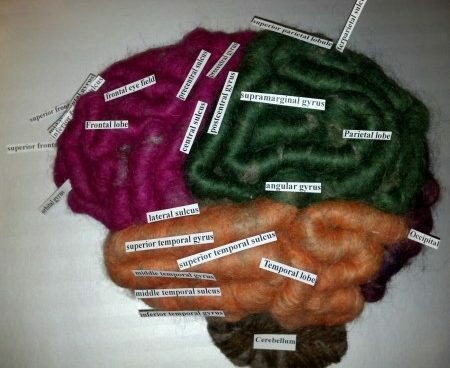 You can see an impression in “Visualize and appreciate brain form and structure”.